It didn't even occur to me ahead of time though, that I'd be in Japan, and barely anything would be in English, or that the writing on products would be in an alphabet I had no hope of beginning to understand in two weeks! What I did know is what sheet masks looked like, so I managed to pick up a fair amount of those, including the ever-popular LuLuLun masks, which I can personally testify as being bloody excellent, more on these though in another post. As for everything else, I was clueless. Less than hopeless in all honesty. On one particular aisle, in one particular shop, I spotted a tube and a bottle of liquid with 'CC' in big bold letters on it. Everything else was in Japanese, so I presumed it had something to do with Vitamin C and just bought them both. Upon arrival back at our Airbnb apartment, I used the product in the bottle as a toner, and the tube as a serum, because why not?! 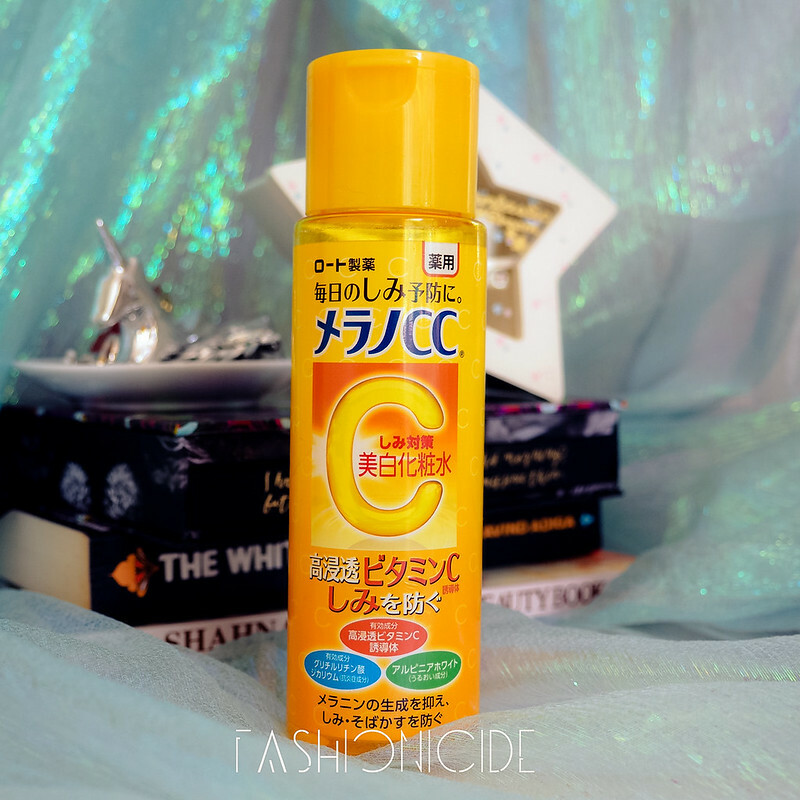 As far as I'm aware, the Japanese like to call their toners 'lotions', so by some sort of miracle I was actually right, yay! Also, it does contain vitamin C, which will be why my skin responded so well to it. Two out of two for me on this one! The toner/lotion is supposed to prevent acne marks and even out the skin tone, and the online instructions say you can apply this either with cotton wool or direct from your fingers. It also expresses that it's to be applied to problem areas, such as spots or patches that require brightening. I used it all over though, day and night, for overall brightening of the skin. The texture of this toner isn't to dissimilar to any toner you'd find here in the UK or over in the States - thin. It has an obvious whiff of citrus, but it's not going to burn your nostrils off, it's fairly gentle. After double cleansing, I'd apply a couple of drops of the lotion to a cotton pad and swipe it all over the face, and I was quite surprised to see the cotton pad pick up quite a bit of dirt from my face. I can't recall this ever happening before from a toner. At first I thought it was the 'Tokyo Effect' of air pollution, but it was the same in Manchester too. My skin doesn't feel too tight after using this either, in fact I'd even go as far as to say that it feels quite refreshed. Also, it's not an astringent toner so it's not going to dry your skin out. When you combine the toner with the Essence (see below), it seems to work really, really well together. When I stopped using this to move on to another toner, I found the essence lost a bit of it's effectiveness. It still worked, it prevented most breakouts, but occasionally I'd get a few bumps here or there. Essences are absolutely huge in Japan and various other Eastern Asian countries! If I'm honest though, I'd heard of them prior to my Japanese adventure, but I had no idea what they actually were! So what is an Essence? Well, it's pretty much a serum (looks like I was right again!!) that is typically applied before your moisturiser. 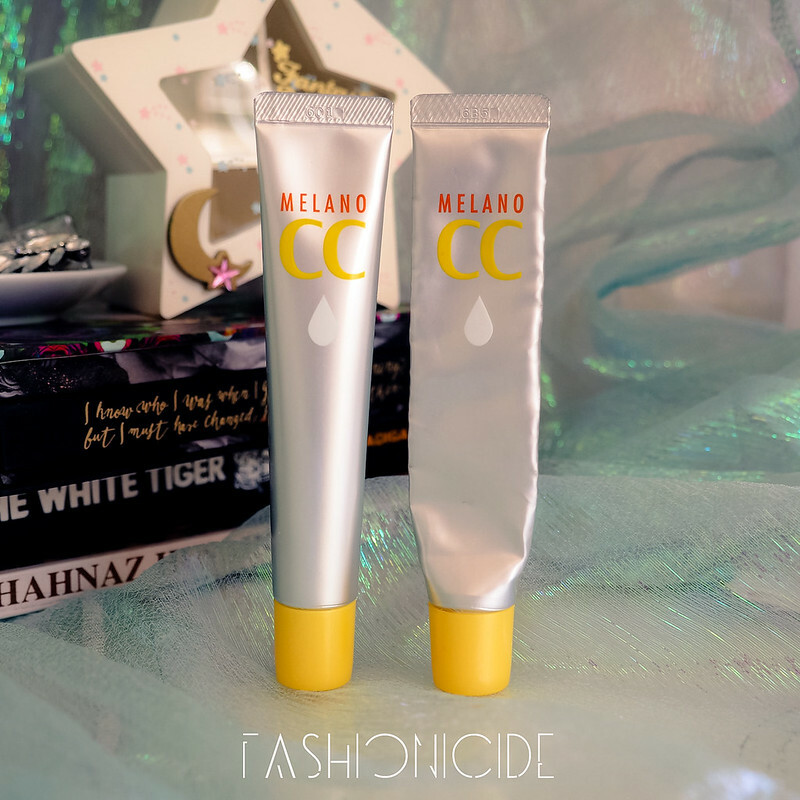 The Melano CC Essence is aimed at the prevention of breakouts, reducing scarring and pigmentation - any ideas what the key ingredient might be? Vitamin C of course! I'm seriously thinking of taking up a job as Japanese cosmetics translator. The essence itself can be used on problematic areas of the face, or it can be used as an all over brightening serum - I went with the latter. It comes in a nice, silvery squeezy tube with a thin nozzle that dispenses the product in small drops. The texture is quite runny, almost like water but with an oily texture to it. At first, I applied 5 drops to the palm of my hand an attempted to massage it all over my face, but it felt like it wasn't really covering everything. So I started to use that thin nozzled dispenser to better effect, taking out one drop at a time and applying directly to the forehead, cheeks, chin and final drop to cover any gaps. Using it this way, you'll find that 5 drops is more than enough. At first the essence feels a little oily on the skin after being massaged in, but within just a couple of minutes, that oily sheen disappears and your face is ready for your moisturiser of choice. Within 2 to 3 days, I noticed that my skin's overall appearance had already improved. The bumpy whiteheads looked much less visible and the pimples had almost completely disappeared! After a week's usage, my skin was looking so much clearer, and the scarring from my zits looked like fading ghosts of Christmas past. I was seriously impressed, even more so because usually to get rid of milia I've needed to use glycolic acid, which tingles on application. This did not tingle whatsoever, so I was shocked to see it working so well. I've been using the essence consistently since mid-March and the tube is now close to finishing, the effect it's had on my skin has been very noticeable, even beyond the two week honeymoon period you get with any half decent product. My skin is looking a lot brighter, and whilst the stubborn pigmentation is still lingering around my face a little, the overall clarity of my skin tone has improved dramatically. Both the Essence and the Lotion are so good, I've actually gone and placed an order on eBay that's been shipped from Japan and arrived through my letterbox a few days ago! Whilst in Japan I picked these up for about 1000 yen, which translates to roughly £6. Of course importing it via eBay is a shade more expensive, but even at £9 it's not exactly breaking the bank. Click *HERE* to view all current eBay listings (all coming from Japan) or *HERE * for free UK delivery! 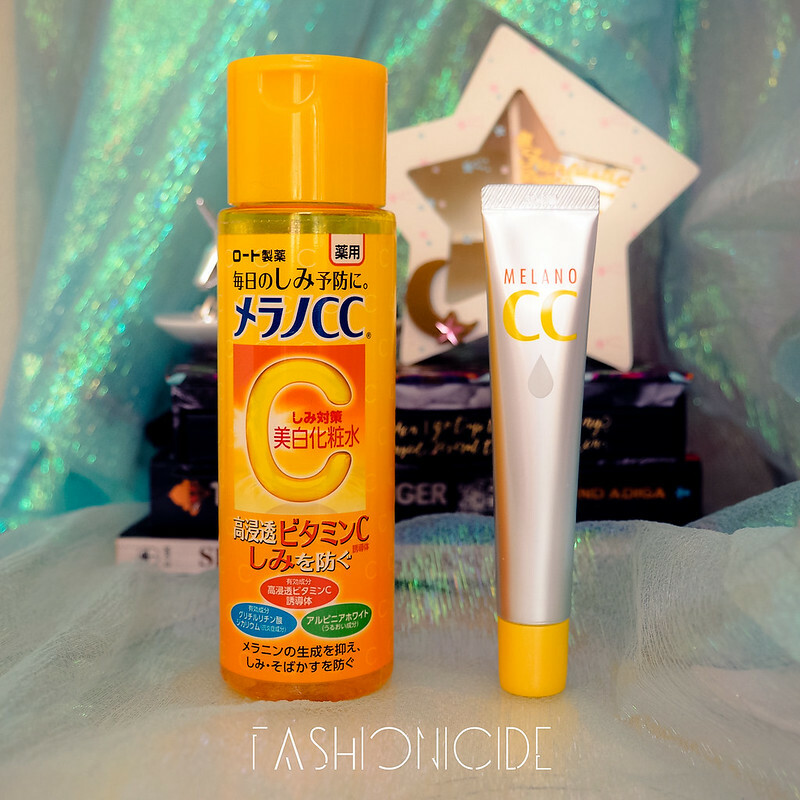 Even if these two products aren't up your street, or you feel your current regimen is working for you already I'd recommend keeping an eye out on the Asian cosmetics market, because they have all sorts of incredible products, that make me wish I'd bought more whilst I was there! Great review, are you still using these products, I'm really interesting in purchasing these products as I have so much acne scars that people think I have rosacea lol. I am also suffring from bad acne scarce and want to buy anti-spot whitening lotion by Rohto after viewing your review..
Hi, this is completely unrelated to this post, but I just want to say that I really loovee the aesthetics of your website!